How do I change the owner of a Content Item? What is the maximum file size/limit for an attachment? What's the difference between the "Content Owner" and "Assigned" Team Members? Is there a storage limit on the amount of data I can input into Divvy? Is there a character limit on your comments feature? How do I modify the settings of a recurring series? How do I assign users/team members to a content item? After creating a content item, open the item in the DivvyHQ Sandbox. In the upper righthand, look for the + icon next to the content item owner's profile pic. 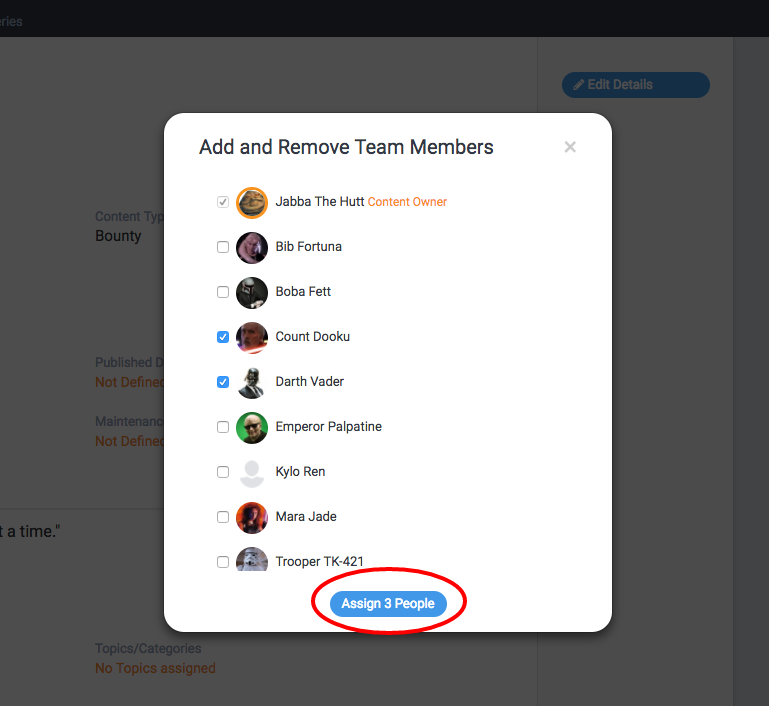 Click the + option to bring up the Add and Remove Team Members overlay. Select your additional team members to assign to the content item then click the blue Assign 'X" People button, where X equals the number of people being assigned to the content item. I need to change the content owner. How do I do that? I created this article just for you! :-) Well, and others that are looking for the same thing. http://bit.ly/2zJMQ1j <- changing a content item owner.